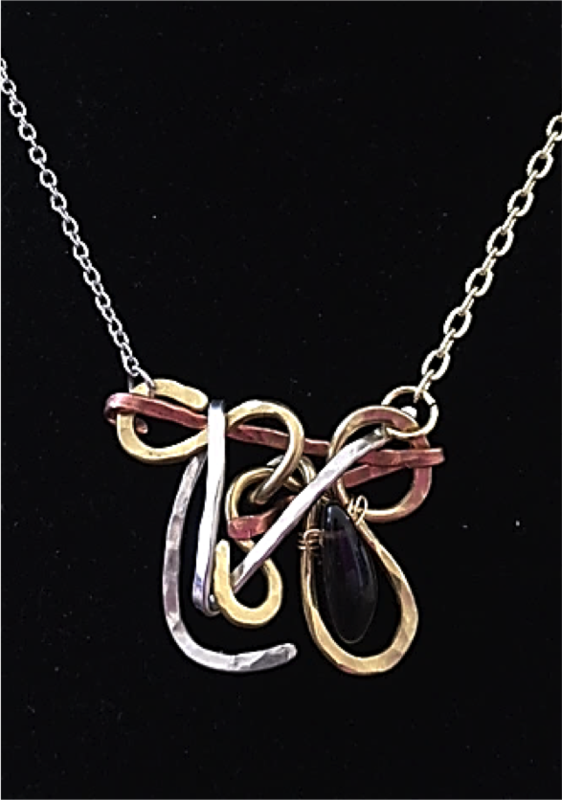 This necklace pendant is made from three metals; brass, copper and nickel. Terry bent and twisted each piece of wire until it locked into place. None of the wires are soldered The bead that hangs off center is Smokey Quartz. Explanation: Smokey Quartz- replaces vulnerability with courage. Nickel promotes positive thinking and courage, brass provides the ability to try something new and copper amplifies your awareness and expands your self knowledge.